Note: If all of the information on this page is too much to process. Go straight to the free study guide below where you’ll find everything you need in the introduction. 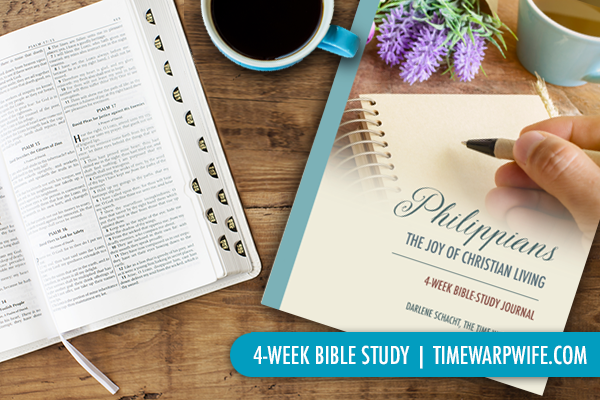 If you enjoy the topic of joy, you’re going to LOVE this Bible study. The book of Philippians is immersed in joyful encouragement. Paul encourages us to rejoice at all times, and when we take a close look at the life of Paul, we see a man who found the strength to do just that because of his unwavering faith. 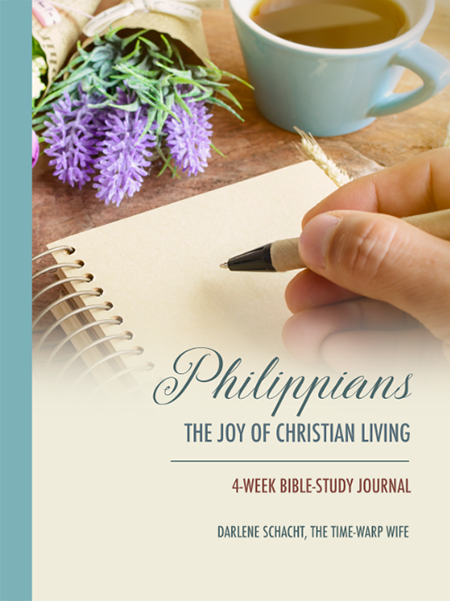 Philippians: The Joy of Christian Living is a 4-week study (August 8th – September 2nd) that begins by taking a close look at Paul, his mission, his conversion, his sufferings, and his visit to the Philippian church. We then go on to study Paul’s letter to the Philippian church, examining one chapter every two days. The study is divided into sections, each consisting of two days. This provides you with an extra day to dig deep into each topic. 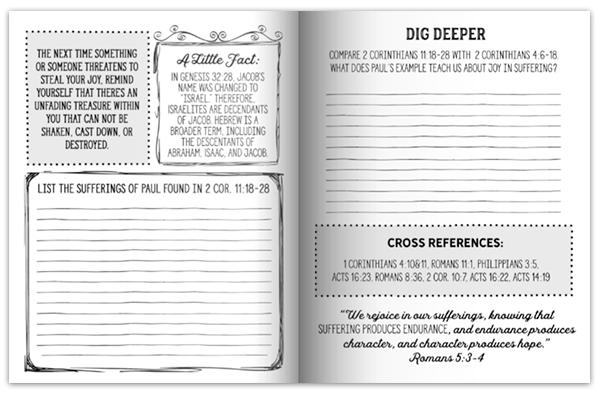 You’ll find a section at the front of the book called “Digging Deeper,” which will guide you to some Bible-study tools to help you along. You don’t need to pick up a copy of the journal to do this study with us. It’s an optional addition to this study, and you can get along just as well with the free study guide I provide below. But for those who are looking for an engaging workbook packed with inspiration and encouragement, you’ll enjoy digging into the pages of this book. Until Amazon provides a peek inside feature, I’ll include some sample pages of the journal below. I’ll be posting on the topics each week on Mondays and Fridays. Come here to glean encouragement and share in my thoughts. Note: The grey areas are the days I will be posting here on the blog. “Study Tools” are printable resources that you can use alongside the study. 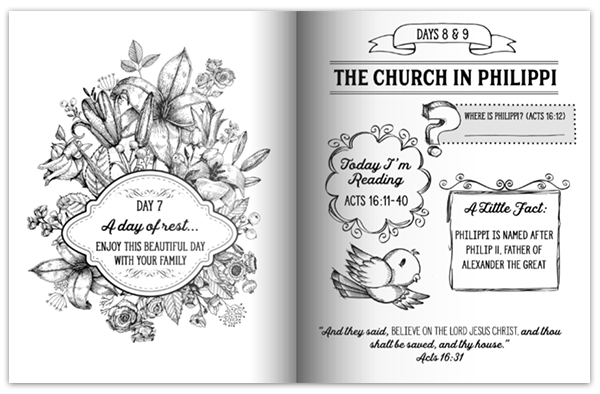 These include: weekly questions, a “week-at-a-glance” sheet, scripture cards, and a coloring page. You will also find me on Mondays, Wednesdays, and Fridays on Facebook where I post my journal entries and open a thread up for discussion. We see Paul pressing forward for the prize of the high calling in Jesus Christ. (Phil. 3:14) Ready to thow off anything that slows him down or stands in the way of his faith, Paul is on fire for God. He seeks joy through his pain as he leans on God’s sovereign power. He is content with little or much. His focus is sharp. He teaches us what it means to rejoice at all times, and leaves each reader with long-lasting hope. The study will run for four consecutive weeks, August 8th to September 3rd. 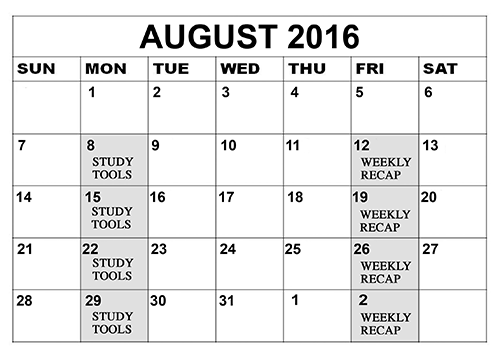 But First: Come back here on August 1st for the free study guide. See you then! « Exciting Announcement – You Don’t Want to Miss This One! Bless you Darlene for allowing the Holy Spirit to guide you even though you are a very busy person. I look forward to learning much. This is my first bible study with you! Super excited! Awesome! Glad to have you joining! I am so excited to begin this study. God has really put Philippians on my heart this year so this is very timely. There are a few ladies that would like to do this study along with me. I am wondering if and when it will be available in Canada on the amazon.ca site. Ordered my study guide the day you announced it! Can’t wait for this study! I love Philippians and can’t wait to dig deeper into His word! Thanks Darlene! My study guide will be here Thursday, and I thank you for the study guide! I’ve printed it so I can get started today! Excited to learn more about His word and Philippians. Thank you! Ordered the study guide, looking forward to diving in! I definitely need a good study to be involved in. Thanks! Please let me know the size of the journals. I have looked on Amazon and haven’t been able to find. Thank you have a blessed evening. Darlene, I worked through day 1/2 content. Is there daily internet discussion, or should i expect a wrap up on Friday? This is my first study series with you ;o) Love the bible study journal I got from Amazon! Thanks so much! Glad to hear you like it! I’ll share some thoughts on Facebook Mondays, Wednesdays, and Fridays during the month of the study. I open up a discussion here at that time. You can also visit my blog on Mondays for printable resources to help you along. And Fridays for a recap of the week. To do this you could either buy the journal or use the free study guide that I have on my blog. The study is something you do on your own. I’ll share some thoughts on Facebook Mondays, Wednesdays, and Fridays during the month of the study. I open up a discussion here at that time. Got my Journal yesterday and I am so excited to start digging in! Thank you for helping us to getting closer to God. God bless! Received my journal! I recently moved from PA to SC and a dear friend of mine in PA is going to do the study with me. What an awesome way to stay connected. We’re excited! 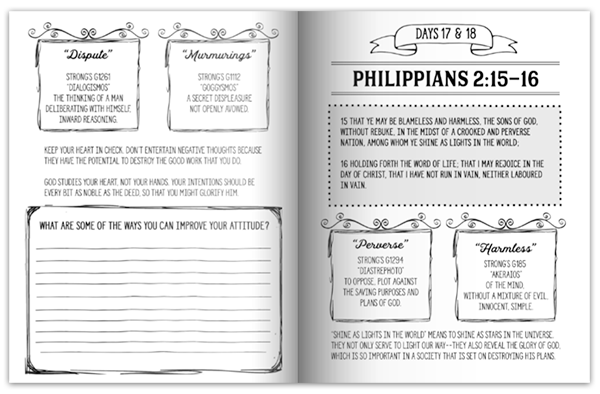 Is the Bible study that comes with the journal the same as the free printable version? No, the journal version is a lot different. It includes some coloring pages, extra notes and questions to think about. Basically the journal has everything in the free guide plus more. If you have the purchased journal, you won’t need the free guide. I’ve done a couple of your studies by myself but, I’m excited about doing this one with you guys. I have my book!! Awesome! I am memorizing Philippians right now! 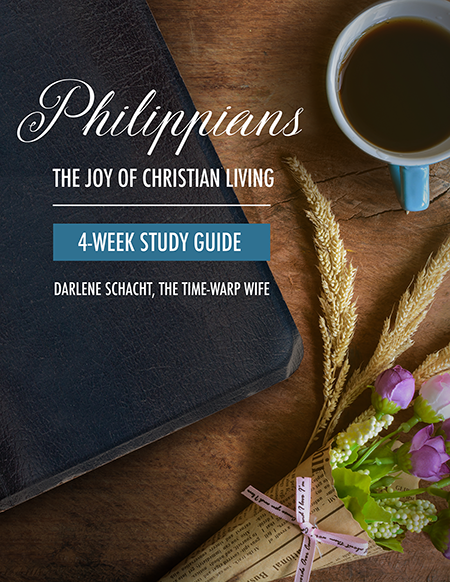 The title of this link is “A Virtuous Life” yet it links us to the study of Philippians. I wish that I could download the study in a way that I can type directly into the study. I am 50 and cannot spell so hand writing is a lot of work looking up words.